Home /Support » Optimizing the VPS with (512MB RAM / 1 CPU). Optimize the VPS with (512MB RAM / 1 CPU) so that the site on the wordpress can withstand a load of 42,735,587 hits per day. When you purchase a VPS server with 512MB of RAM on board and 1 CPU Core, then using the default settings for such services as MySQL / PHP / Apache is a very bad idea. Currently I have launched 3 sites on the cheapest tariff plan with 512MB RAM / 1 CPU. I’m not completely sure, but attendance is about 5-10 thousand visitors a day. Next, I want to share the instructions on how to optimize LAMP using only 512 MB and without going into swap. Usually, with this setting, 256 – 378Mb of memory is used and everything works pretty quickly. Determine the available memory and swap activity. We configure the LAMP server to consume a small amount of RAM. Stop, turn off unnecessary services. Here is a list of services that I changed. Postfix. This service allows you to send and receive e-mail messages for the domain. I use Google Apps for this purpose to send mail and mailchimp to news subscribers. So I stopped and turned off this service. Bind9. It is needed to manage the DNS records of your domain. It can be disabled, since all DNS records are stored by the hosting provider. SSHD. There are other implementations that use much less memory, but they do not support sftp, so I left this service unchanged. Do not start the X server, turn off all unnecessary services and configure Apache, MySQL, PHP only with the basic necessary functionality. Also, be sure to adjust the “KeepAliveTimeout” setting to 10 or 15. In my opinion, 15 seconds is too much, than a small page is required for viewing and shorter than required for a long pageview. If you want to achieve maximum performance, you definitely need to limit the logging. On my server, I set the level of “error” (errors). Also, if you do not need detailed statistics, you can disable the User-Agent or the http-referer logging. Fine tuning MySQL to use a small amount of RAM is quite simple. To optimize MySQL, we need to edit the file/etc/mysql/my.cnf. InnoDB, on the other hand, it offers blocking at the row level, which means that when a row is written, only this single line is blocked; The rest are available for recording. The problems with table-level locking are noticeable only on very busy servers. For regular websites, MyISAM shows better performance on cheap servers. If you have used InnoDB in the past, then below I give you a script that automatically converts all InnoDB tables to MyISAM. Below are a few parameters that can be adjusted to speed up the MySQL server. This is one of the most important parameters that affects the consumption of RAM and performance, which needs to be optimized. MySQL tries to put everything that is indexed in the key buffer, so this parameter brings tremendous performance. The SQL query will be submitted directly from the RAM. I can not say what size you should set for key buffer, because only you know how much RAM you have free. If you make the same requests twice in a row, the result is placed in the query cache, so mysql does not have to do the query again. If you are going to increase performance, then this parameter can be of great use, but memory consumption will increase. Therefore, you need to set this parameter not too huge, but not too small, that is, as much as your website needs. This is an optional parameter. If you have already limited the number of apache processes, then everything is already fine. If not, and you need to process thousands of users simultaneously, you need to increase the value of this parameter. Each time you access a table, MySQL loads the table reference as one entry in the table cache. This is done for each parallel access to the table, it is really important for performance, it is insignificant to use memory. You can constantly increase the table cache, but then you will limit yourself to the limit on the number of open files in your operating system, so keep this in mind. If the table cache is too small, mysql will puke at you, you do not want it. Below is the correct my.cnf, which I optimized on my VPS with the lowest tariff plan. I found Percona, which provides a free MySQL configuration and helps to choose the best features of MySQL server for maximum performance, and also save time, preventing the occurrence of motives and risks that may arise when self-configuring my.cnf. MySQL stores statistics that help determine the best values to use. In addition, there are two convenient utilities that you can use to read this statistics and output in a clear format: tuning-primer.sh and mysqltuner.pl. 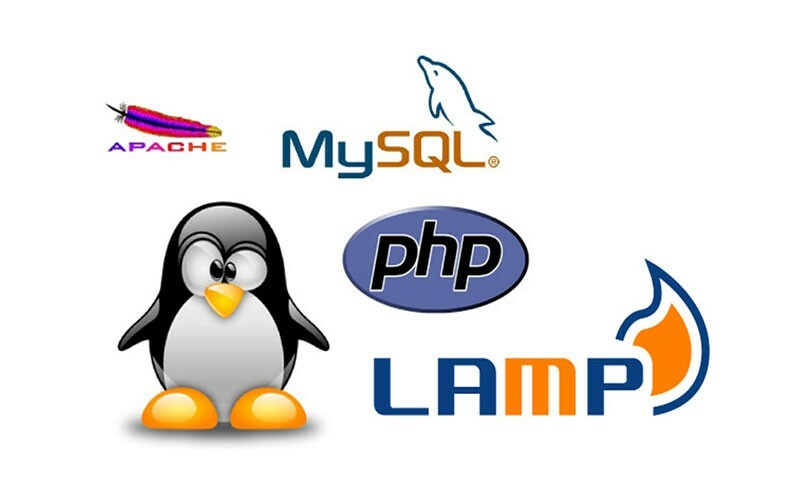 These scripts will allow you to monitor your MySQL server, and after that you will provide a hint about the parameters that need to be configured on your server. PHP does not use memory very intensively, so I do not think that you need to worry much about memory consumption for these processes, if your application does not need it, but even if optimization is necessary, there will not be a significant reduction in consumed memory. But I researched and then found several settings for the PHP configuration, which reduce the memory consumption of the web server. Another thing that can be a good idea for a blog on a small server is to put it in front of a static HTTP-cache, for example, Varnish. What can really increase your scalability. The Varnish configuration is a separate large article that requires a separate topic. I posted the configuration of my web server openly to prove that you can achieve high performance even from the cheapest VPS container with 512MB RAM and 1Ghz CPU. I use Ubuntu 14.04 LTS, LAMP, Varnish, APC Cache to host 3 web sites, made on WordPress (not multi-site) with a traffic of 10k per day.